Some broad guidelines have been given for search and seizure in Horary astrology. Firstly the ascendant or prashna lagna is very important. If ascendant is strong and well aspected, it indicates fulfilment of desire. Secondly the nature of query is decided by the houses and their significations. Houses, their lords, karakas and relationship between them is to be examined. For instance problem relating to missing person is generally investigated through 7th house and its lord if the question is related to recovery of stolen property, the 2nd house and its lord becomes relevant because property means accumulated wealth and so on. Further rising sign at the time of query refers to querent and event is indicated by the concerned house. 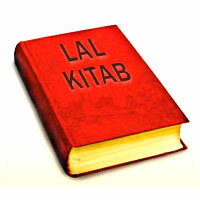 In this regard, astrologer is all important person hence date, time and place will be as per residence of astrologer. 1. When the Moon is posited in ascendant, Saturn in any angle (kendra) and Mercury is combust. 2. The Moon in ascendant aspected by Mercury and Mars. 3. Lord of 7th aspected by Jupiter, Mercury or a planet that should be inimical to 7th lord. 1. If the ascendant is in first degrees of a sign from Aquarius to Gemini. 2. If ascendant falls on or after 27 degrees of a sign. 3. If Saturn is in last degrees of Taurus, Gemini or Capricorn. 4. If the cusp of 6th house is afflicted. 5. If the lord of 7th house is retrograde. Sheershodaya signs: Gemini, Leo, Virgo, Libra, Scorpio and Aquarius. Prishtodaya signs: Aries, Taurus, Cancer, Sagittarius and Capricorn. 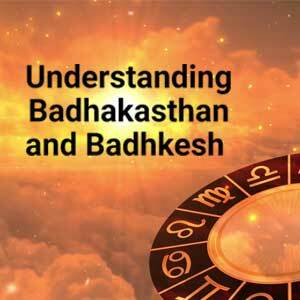 Ubhayodaya signs: Pisces is an ubhayodaya or a mixed sign. Biped signs: Gemini, Libra, Aquarius, Virgo and first half of Sagittarius. Quadruped signs: Aries, Taurus, Leo, first half of Capricorn and second half of Sagittarius. There is an introduction to horary astrology and some of do’s and don’t do’s. There are several branches of horary astrology but here we shall take a very unique but very effective method of answering a query, in this we will use only first and seventh house to answer all types of queries. Here prashna lagna and its 7th house has been dealt with to solve all types of queries. 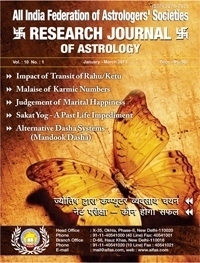 The astrologer should look for figure, form, characteristics, colour/complexion, disputes, blemishes, happiness, longevity etc. from prashna lagna and from 7th house, one should consider trade, business, disputes, litigations, going out, coming back and wife etc. Meaning by, banefics improve generally all bhavas while malefic planets spoil the bhava but some times benefic in prashna lagna spoils the query while malefic improve the same is the rule with 7th house of a prashna chart..
1. The Moon in the 7th house of a prashna chart aspected by Jupiter indicates marriage will take place soon. 2. If Moon happens to occupy prashna lagna, associated with or aspected by a malefic, marriage will not take place. 3. If prashna lagna and its 7th house are occupied each by malefic planets, the person dies in the 7th year of one’s marriage, the verse below echoes the same opinion. Important-But Narada specifies the malefic as Mars in the 7th house concerning the above yoga. But Vashishta holds the opinion that death is not probable in case prashna lagna and its 7th house having weak malefics. 4. If Moon be placed in prashna lagna and Mars in the 7th house, the man dies in the 8th month of his marriage. This is the opinion of ‘Sripati’. But ‘Siddha Narayan Dasa’ in his book ‘Prashna Vaishnava’ attributes the same fate to wife too. That is, the person does not survive more than eight years after the marriage. 5. Venus or/and Mercury in prashna lagna and Mars in 7th house, bride dies after marriage. 6. The Sun in the 7th house of prashna chart makes married bride bereaved of children. But according to ‘Gagan Pradeepika’ the Sun in 7th house makes bride ailing after marriage. The relevant sloka is as under. 7. The Sun in prashna lagna makes a married bride unchaste. 8. If the Moon and Venus happen to occupy the 7th house she becomes adulteress. 9. If Venus and Mercury happen to occupy 7th house she becomes a widow. 10. If the Moon be in prashna lagna and Venus in the 7th house expedites marriage but in case both the planets are under malefic influence the marriage will be delayed. Note : These are rules regarding predicting marriage etc. The slokas mentioned here are from classics there can be little variation due to non availability of exact words. 1. A malefic planet in prashna lagna gives success to querent. But if this malefic planet is debilitated or combust, the querent gets defeated. Note : Here the strength of planet is gauged on the basis of its relation with the sign lord. Here the strength of a planet is like this in ascending order, a planet in a friendly sign-in its own sign-in its mooltrikona sign-in its sign of exaltation. 3. Success goes to querent by a malefic planet in prashna lagna. But success goes to opponent by a malefic planet in the 7th house. 4. Same way a benefic planet in prashna lagna brings about defeat to querent while a malefic planet in 7th house brings defeat to opponent. 5. Aspect of benefic planets on either of two is beneficial. 6. Aspect of a malefic planet on prashna lagna brings about defeat to querent while an aspect of malefic planet/planets on 7th house brings defeat to opponent. This is confirmed by “Padama Prabhu Suri” in his book ‘Bhuvan Deepika”. Note : This method is effective in predicting an event like any game (team or single), winning of election, competitive examinations etc. 1. A malefic planet in the 7th house of a prashna chart and the Moon in prashna lagna the patient dies. 2. The Sun in prashna lagna and the Moon in its 7th house..death of patient is probable. 3. One strong benefic planet in prashna lagna saves the patient. 4. The Moon in prashna lagna and the Sun in the 7th house death of patient is probable. Jupiter patient will be cured of disease. Important : The Moon is said to be full/strong from the 11th lunar day of the bright half till the 5th lunar day of of the dark half of fortnight the Moon is pakshbali during this period and for the specific purpose it is called as full Moon. 6. If the Moon and Mercury occupies prashna lagna and aspected by malefic planet the disease is incurable. 1. A strong malefic planet in prashna lagna indicates the traveller is neither dead nor imprisoned but safe. 2. A malefic in the 7th house of prashna chart or a malefic in prashna lagna and another in its 7th house indicates that traveller is either dead or imprisoned. 3. If prashna lagna being a prishtodaya sign aspected by malefic planet/planets, imprisonment or death may happen. But in case it is aspected by banefic planet/planets traveller is safe. 4. If durudhara yoga is caused by benefics around 7th house of prashna chart, traveller is delayed owing to compulsion of friends. But in case this durudhara yoga is caused by malefic planets one is prevented from return by some illness or by enemies or by thieves. Locate the strongest planet in the prashna chart. Count the number of houses from prashna lagna to the house occupied by the strongest planet. This number of houses will be the number of months in which traveller will return back. a. If the strongest planet goes to moveable navamsha the above said time holds good. b. If the strongest planet goes to fixed navamsha, the above number should be doubled. 1. If prashna lagna is occupied by a malefic planet, the thief will be successful in his attempt of theft. But in case prashna lagna is aspected by malefic planet, the thief will be in trouble. In case prashna lagna is occupied by a benefic planet, the thief will be safe but unsuccessful in stealing. 2. If prashna lagna happens to be a sheershodaya sign and occupied by full Moon or any other powerful benefic planet, the lost article will be recovered. 3. If both prashna lagna and its 7th house are occupied by any of the benefic planets out of Jupiter, Venus, Mercury or full Moon, the lost article will be recovered soon. 4. If prashna lagna is connected with malefic planet/planets by aspect or occupancy, the lost article will never be recovered. 5. If prashna lagna happens to be a fixed sign and lagna is vargottam, the article must have been stolen by a relative. If it is a moveable sign the thief is outsider. If it is a dual sign the lost article has not gone outside the house. 6. If first drekkana of prashna lagna is rising, the lost article is in vicinity of main gate. If it is 2nd drekkana, the lost article is inside the house, if it is 3rd drekkana, the lost article is in the backyard of house. 7. To know which direction the article or stolen money is taken away or the missing person has gone, judge the directions of the planet strongly disposed in kendra or direction assigned to various signs. 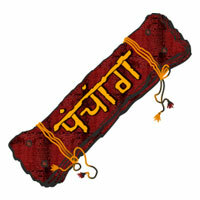 Sign falling in prashna lagna will indicate the direction. Sun-East, Moon-North West, Mars-South, Mercury-North, Venus-South West, Jupiter-North East, Saturn-West, Rahu-South East. Aries- East, Taurus- South, Leo and Sagittarius- South East, Virgo and Capricorn- South West, Libra and Aquarius- North West, Gemini- West, Cancer-North, Scorpio and Pisces- North East. 1. Prashna lagna occupied by its own lord indicates gain of position like job, promotion etc. 2. If prashna lagna contains a fixed sign and occupied or aspected by benefic planet/planets, the querent gets one’s desired object of securing a job. 3. If prashna lagna is having a sheershodaya sign and occupied by benefic planet/planets one is sure to get a job. 4. If Venus is occupant of 7th house of prashna chart, querent gets job. If this Venus conjoin any other benefic planet one is sure to get one’s desired post with pleasure. In case this Venus is conjunct with malefic planet, querent will get the job with difficulty after keen contest. 1. The number of signs between prashna lagna and Moon will be the number of days for fulfilment. 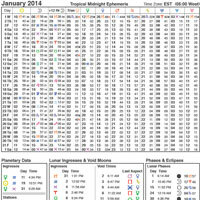 Sun - Ayana (six months), Moon – Minutes, Mars - Days, Mercury - Season, Jupiter - Month, Venus - Fortnight, Saturn - Year. Example : Suppose sign Aries rises in prashna and it is in 2nd navamsha i.e. Taurus. The navamsha lord is Venus hence two paksha i.e. one month is the period of fulfilment. Note : The query concerning with examinations, the above range can be considered from pass to highest distinction.